We have managed once again to keep our fees low. 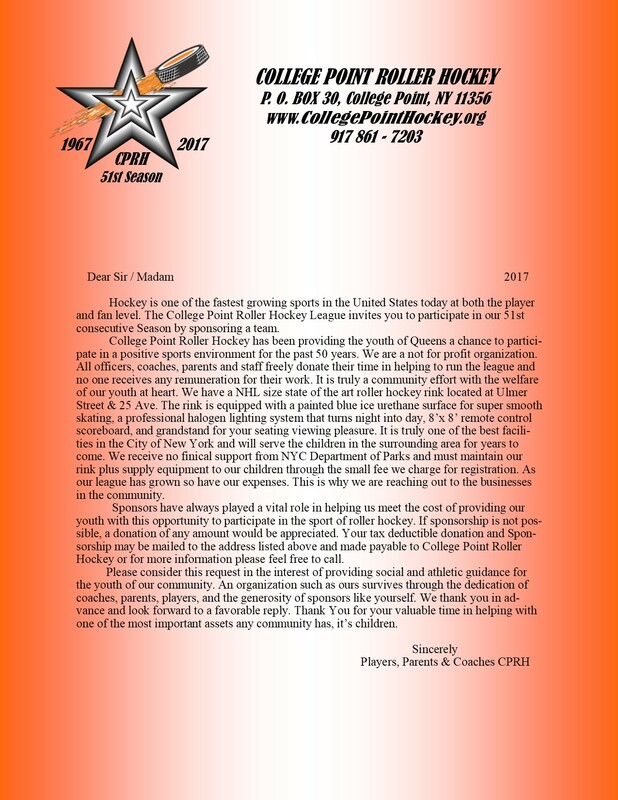 If you have not played CP Roller Hockey before the fee will be $125.00. 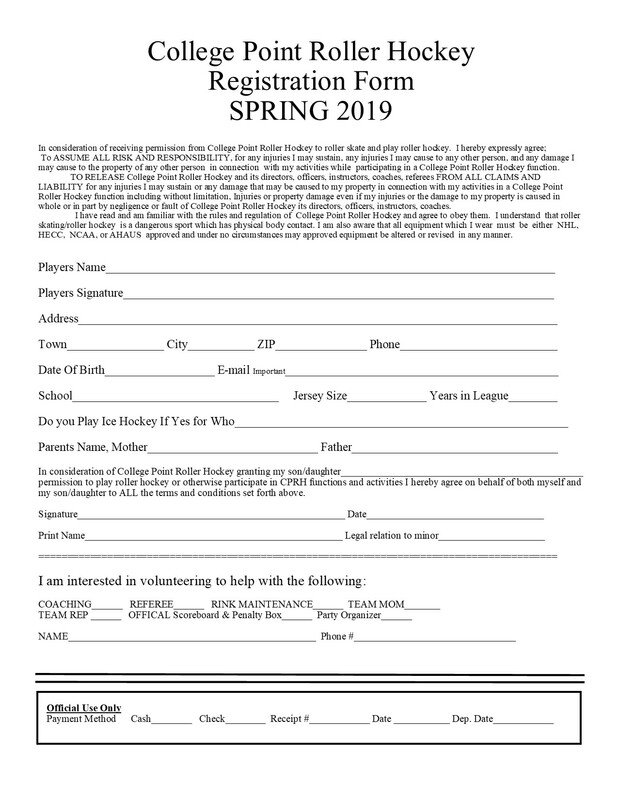 If you have played CP Roller Hockey before you will receive a $25.00 discount the fee for you will be $100.00, bring a friend who has not played before we will give them the $25.00 discount. If you and your friend sign up and you have not played before the fee would be $100.00 for each player. 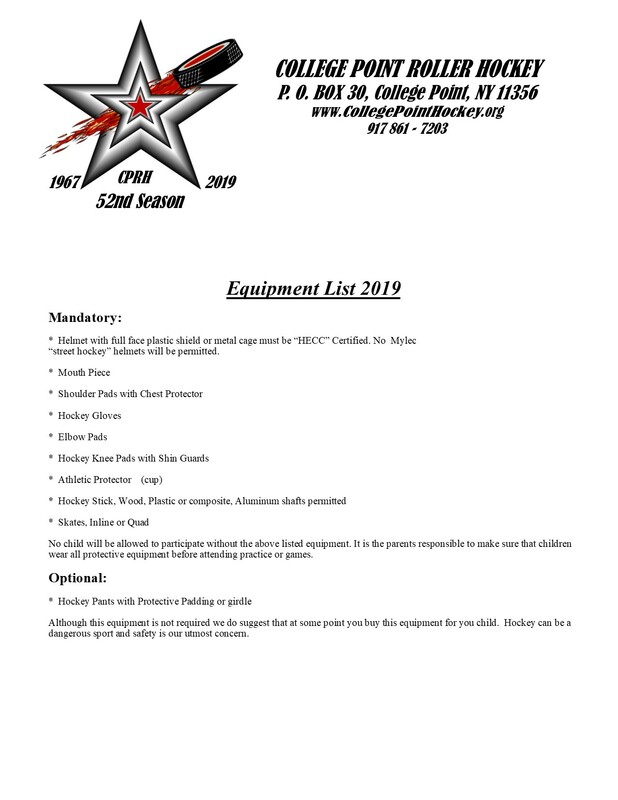 Listed above is the equipment needed to play College Point Roller Hockey. Players must supply their own equipment. No player will be allowed to participate without the above listed equipment. 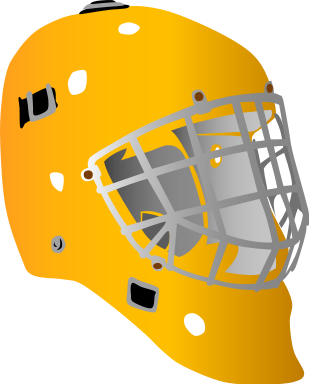 It is the parents responsible to make sure that players wear all protective equipment before attending practice or games. . Hockey can be a dangerous sport and safety is our #1 concern. Just click on the Equipment List Box to download a copy. Occasionally from time to time we have some used equipment that we can give out for free if you cannot afford to buy all the necessary equipment, please call for availability. 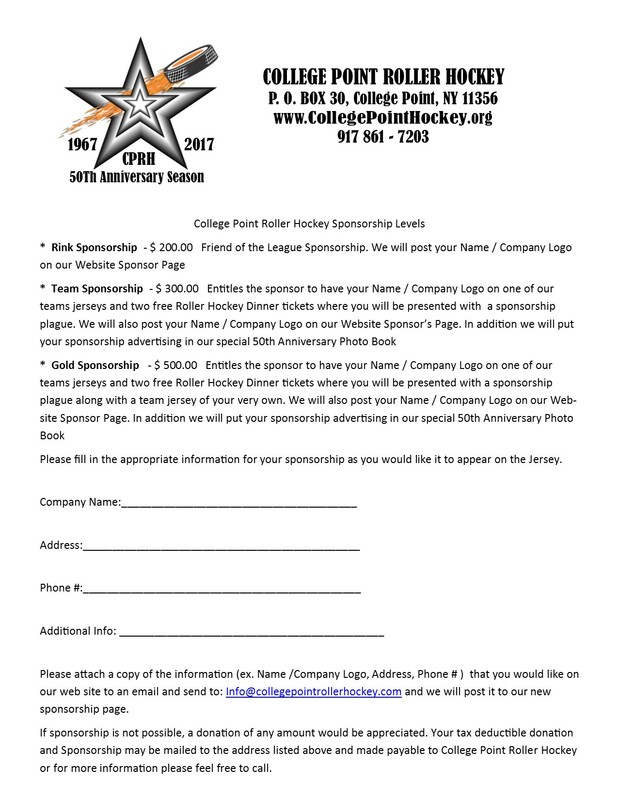 College Point Roller Hockey will supply Goalie Equipment for any player who wishes to play that position. In order to register by mail please click on the Registration Form button to download a copy of this form. Please download the necessary forms and mail along with your payment to P. O. Box 30, College Point Roller Hockey. NY 11356. Please down load and mail both the Registration form and Insurance Waiver. Upon completion of registration for the Spring 2017 Season You will be contacted in April by your coach and he will tell you when you can attend your first practice. You must have all your equipment in order to enter the hockey rink. No one will be permitted to practice or play without the mandatory equipment. Please check the Equipment list below for the gear you need. It is the parents responsibility to supply and ensure that all players have proper equipment at all times upon entering the Roller Hockey Rink.